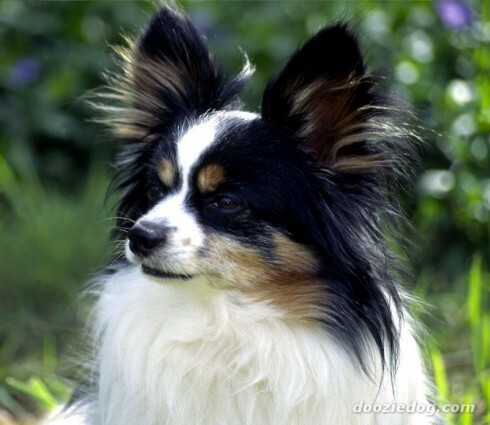 Papillon means "butterfly" in French. 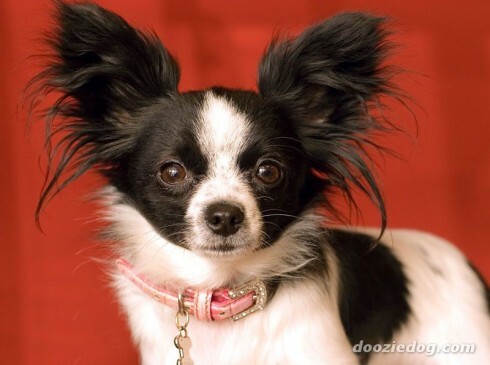 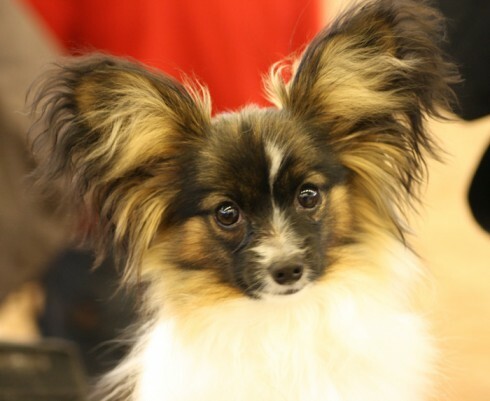 That's the name of this little dog because his winglike ears resemble a beautiful butterfly. 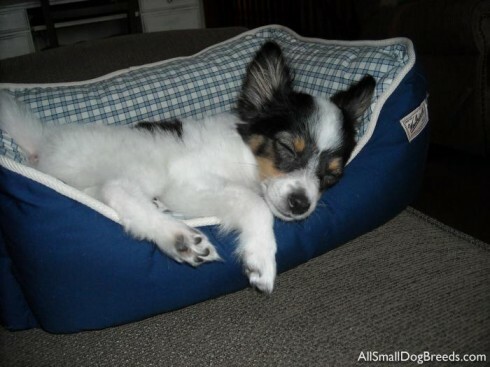 He prefers to cuddle with his owner, to whom he becomes affectionately attached for life. 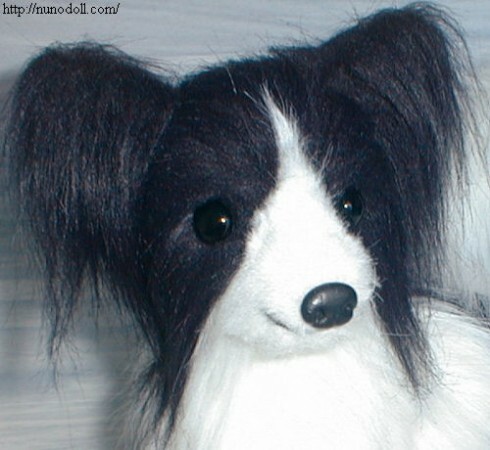 He likes to play with toys inside and is a hardy outdoor sport--perfect for city and country dwellers alike. 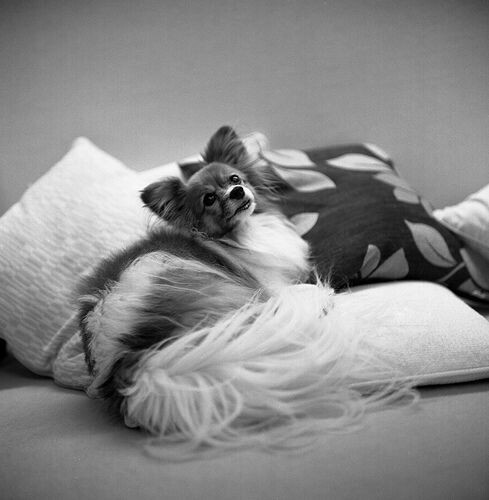 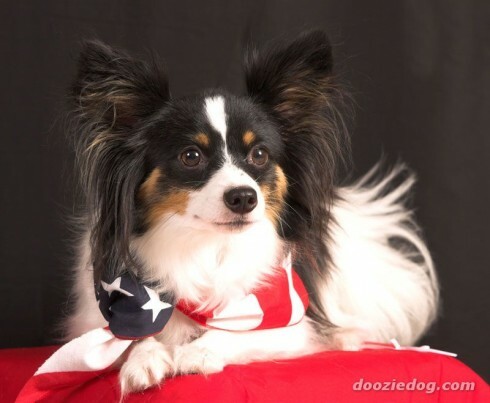 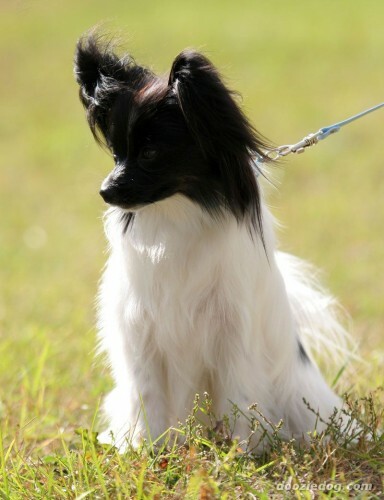 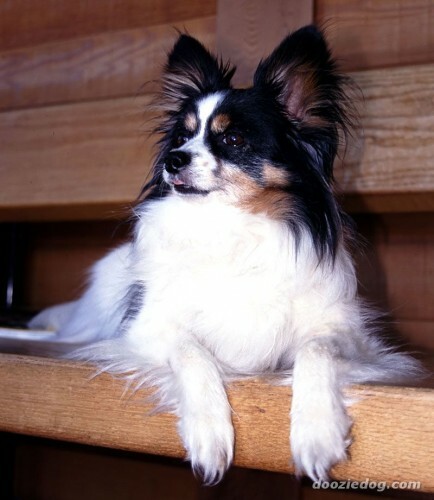 The Papillon is highly trainable. 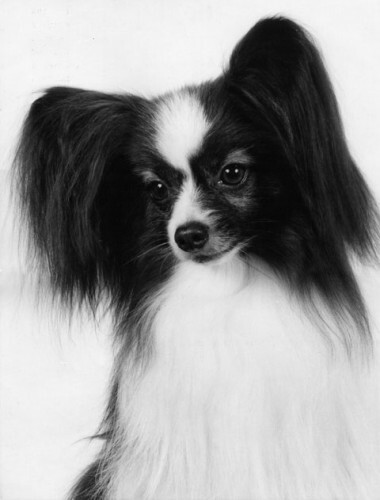 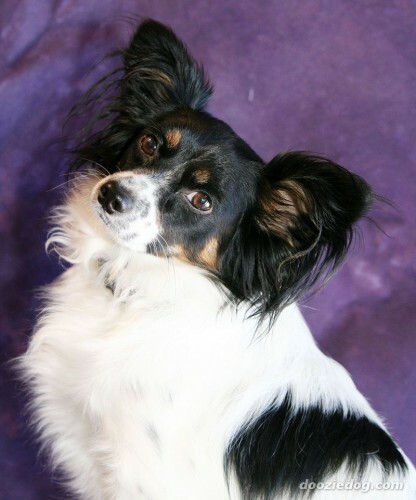 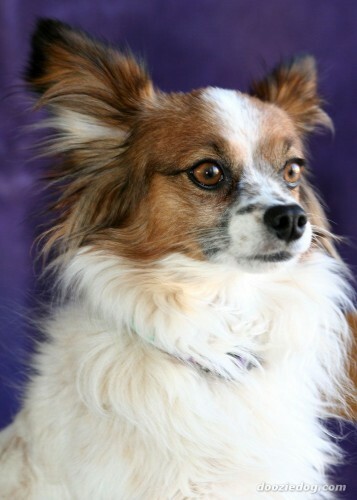 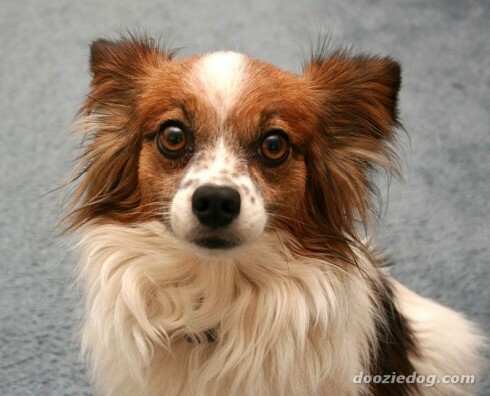 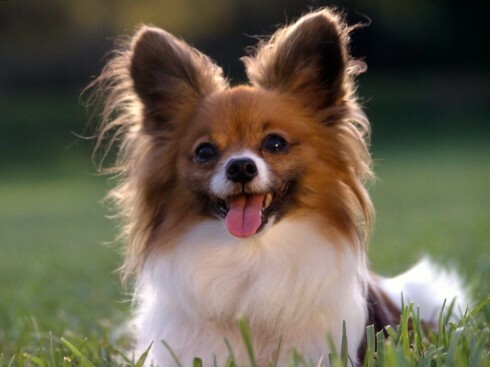 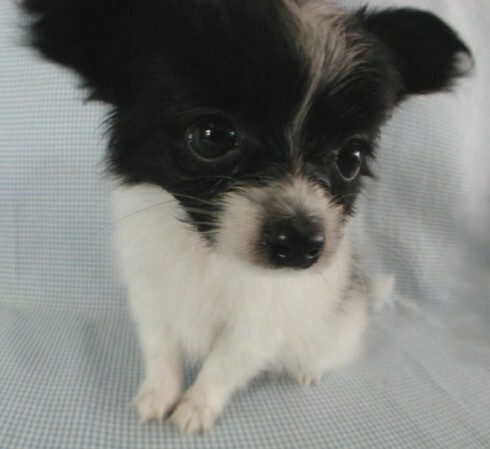 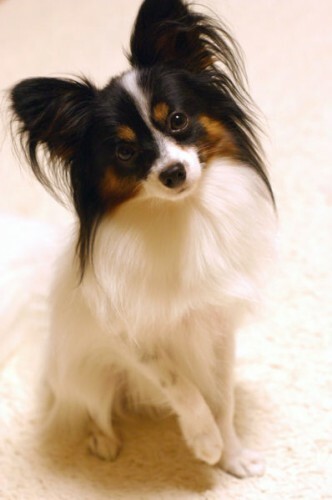 The Papillon, known in the 16th century as dwarf spaniel, is the modern development of those little dogs often seen pictured in rare old painting and tapestries. 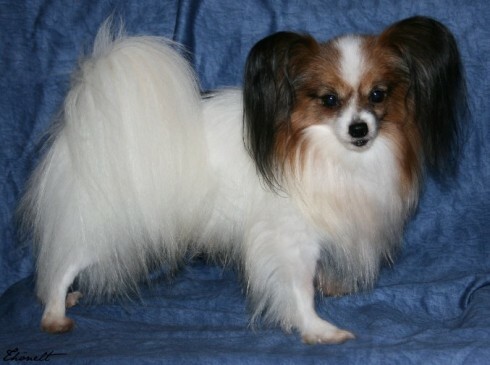 Marie Antoinette was an ardent admirer of the Papillon. 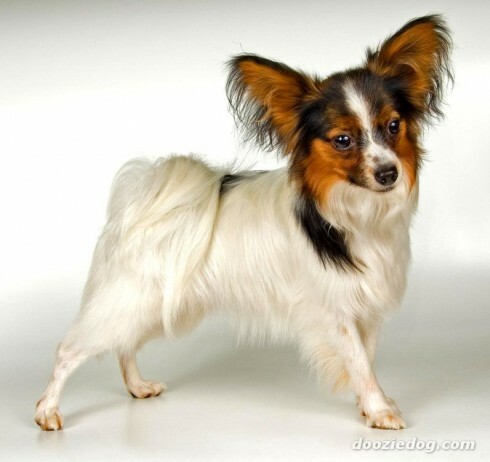 So you want to own an Papillon? 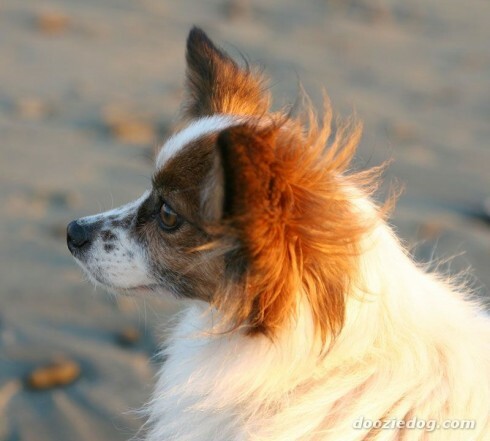 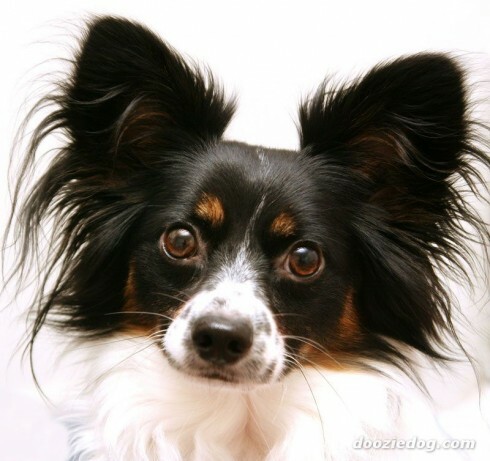 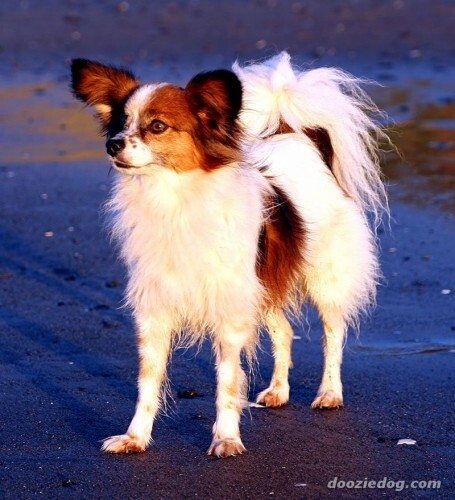 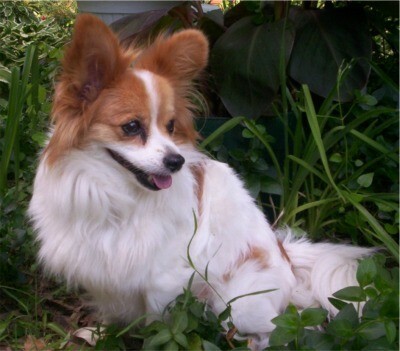 The Papillon is a happy dog who makes a great house pet..
Papillons make a very good watch dog, alerting their owners of strangers. 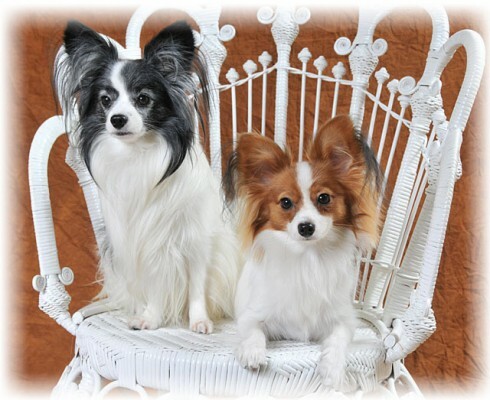 The coat requires minimal grooming, but to prevent matting the coat should be groomed at least once a week. 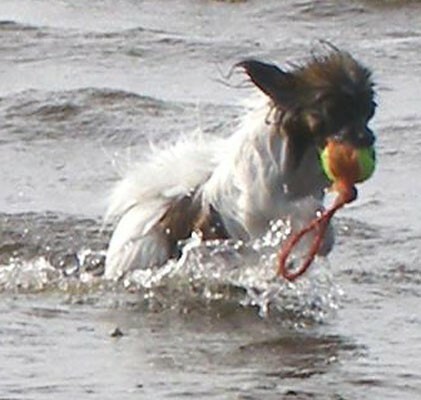 Well developed, well turned stifle. 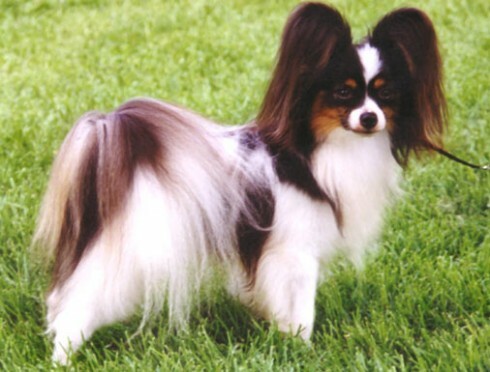 Legs when viewed from behind parallel. 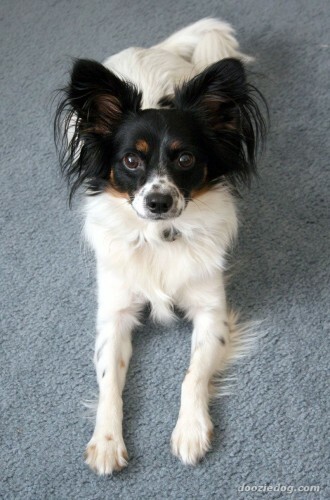 Dewclaws on hind legs removed.